Turkey, Russia, Iran Find Some Common Ground at Summit - Integration Through Media ....! 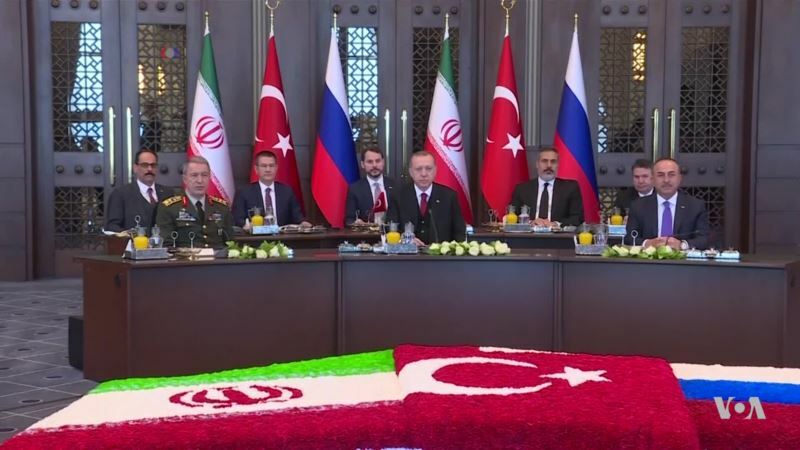 (VOA): The Turkish president has been hosting his Iranian and Russian counterparts in Ankara, part of an effort to end the Syrian civil war. While the presidents are backing opposing sides in the conflict, they are increasingly working together, Dorian Jones reports from Ankara.